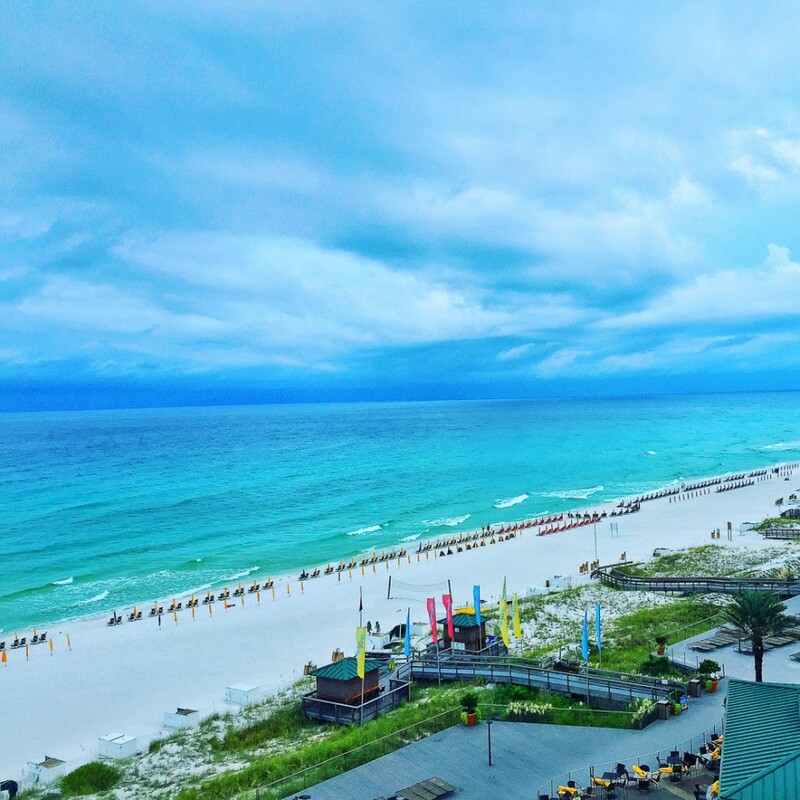 The Hilton Sandestin, The Best Resort Hotel In Sandestin Flordia! 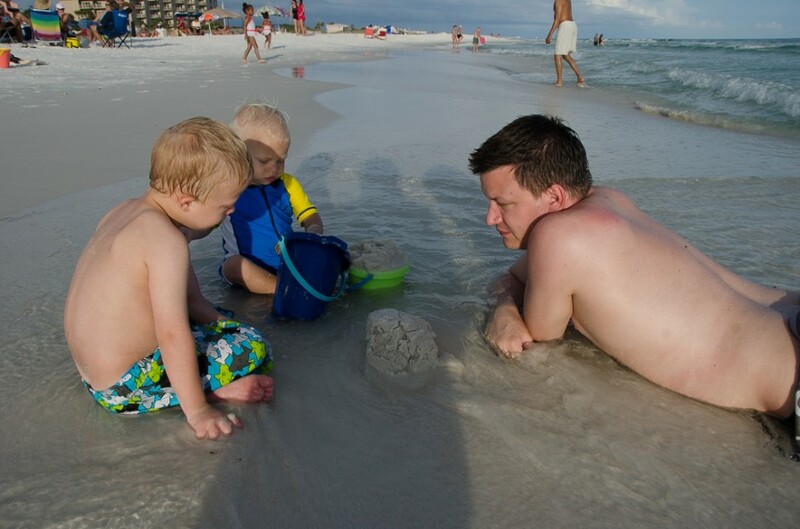 You are here: Home / Family / The Hilton Sandestin – Our Favorite Beach Vacation Spot! 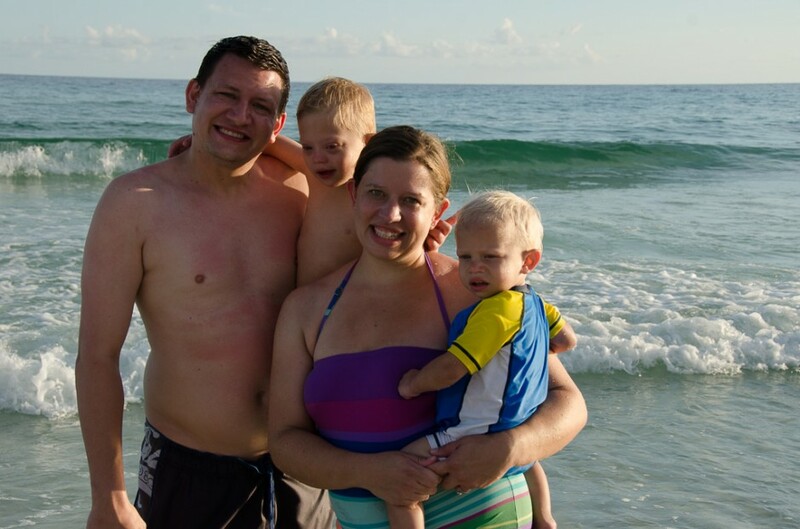 Well, this past summer we decided to compromise and go on a beach / Disney World vacation…and it was amazing! In fact, it was so awesome I think I’ve found one of my new favorite places to visit. The plan was to drive from Texas to Florida and stop at a beach on the coast for a long weekend then spend the rest of the week at Disney World. My wife and I researched hotels along the coast and to be honest I couldn’t find any I really liked. They all seemed old / out dated / and just not in a good location. 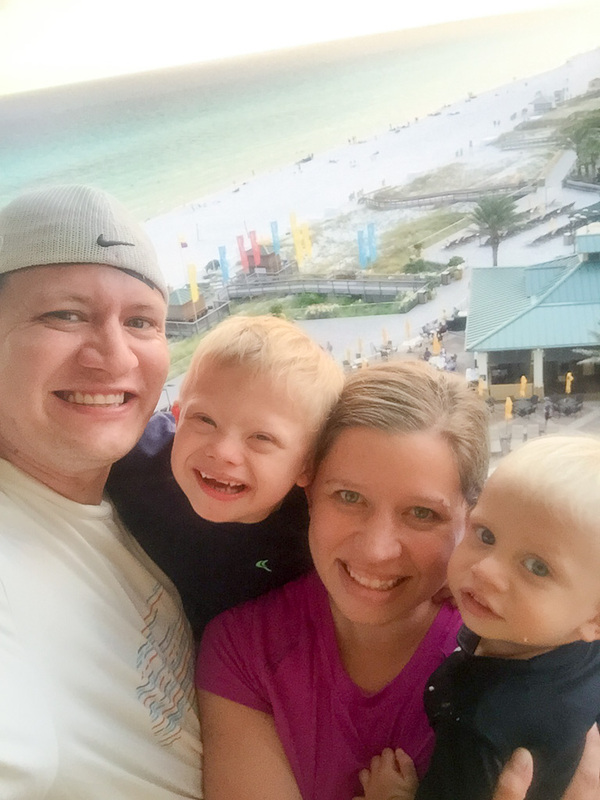 We connected with the Hilton Sandestin and they invited us out for a weekend, and I have to say – it was awesome! A picture from our hotel balcony! We woke up super early in the morning and made the drive to Florida (to be honest, it wasn’t that bad of a drive at all…totally doable in a day from where we live!) 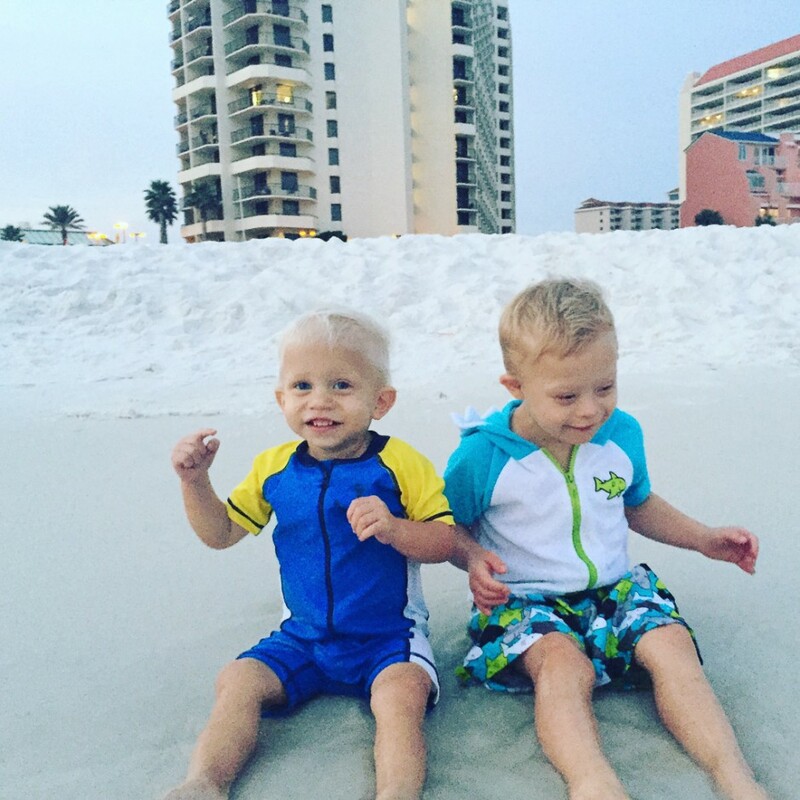 We got to the hotel a little before sunset so we got the kids dressed in their beach gear, and headed to the beach! 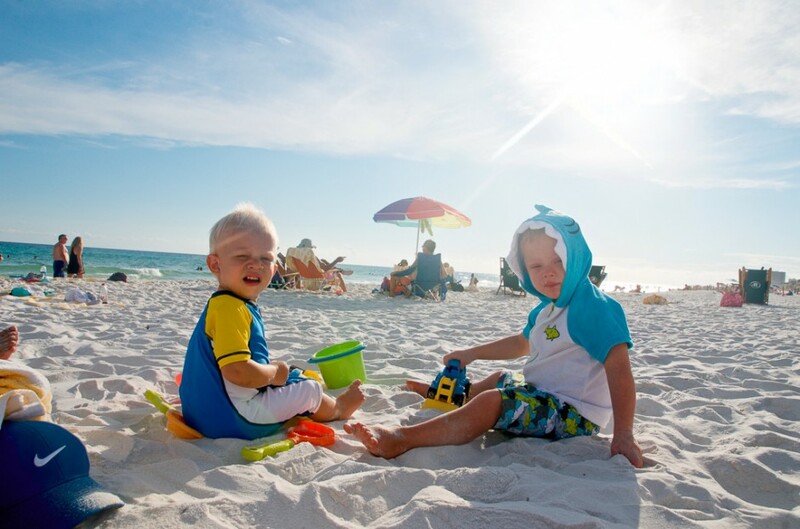 These guys are ready to hit the beach! 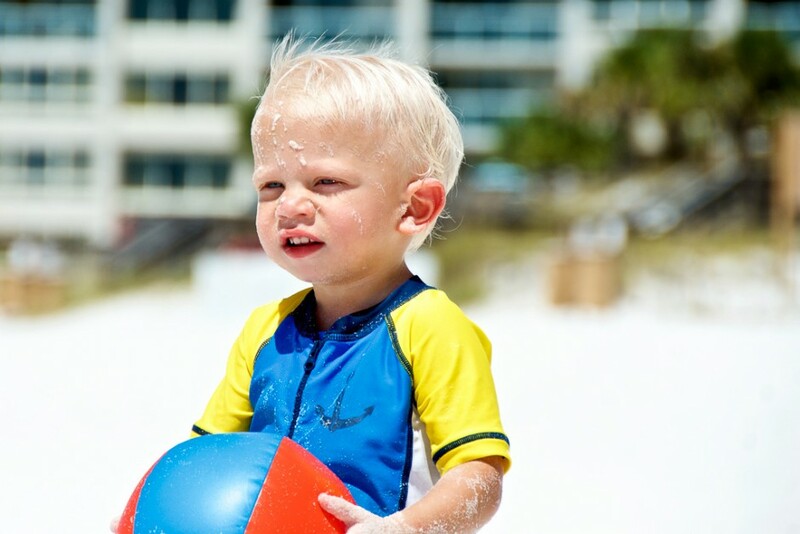 Noah has actually been to the beach before, but this was the first time Jaxten had ever stepped foot on one! Here’s a Facebook live stream video we took the first night we made it to the beach! Our first night on the beach! We hung out at the beach until it got dark, then visited the hotels indoor pool for a while (which was amazing!) Then headed back up to the room to change and head to dinner. 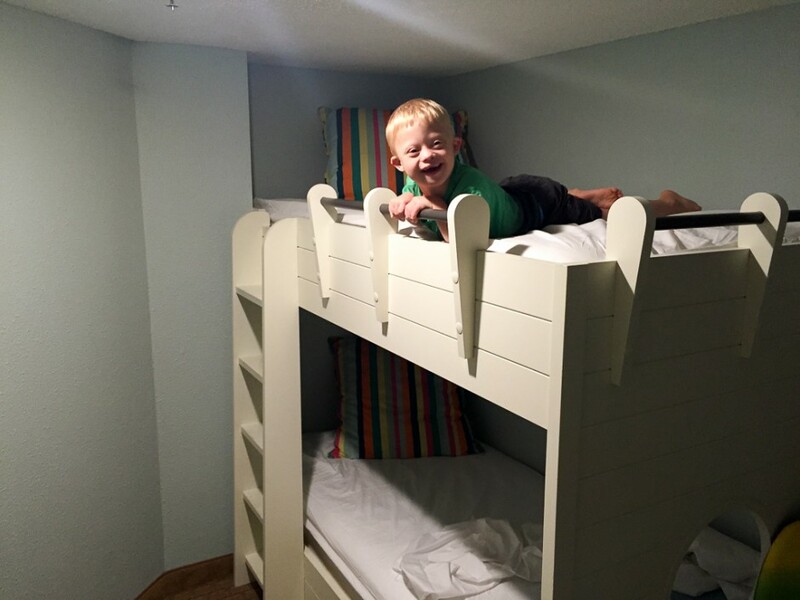 One thing Noah really liked about the room was the bunk beds! This room really is great for a family. In addition to the bunk beds there was a large king sized bed as well. We were actually a little nervous with Noah sleeping on the top bunk so we allowed him to sleep on the bottom bunk and Jaxten sleep in the pack and play at night. Noah loved the bunk bed! The next two days we basically just hung out on the beach and hotel pools. 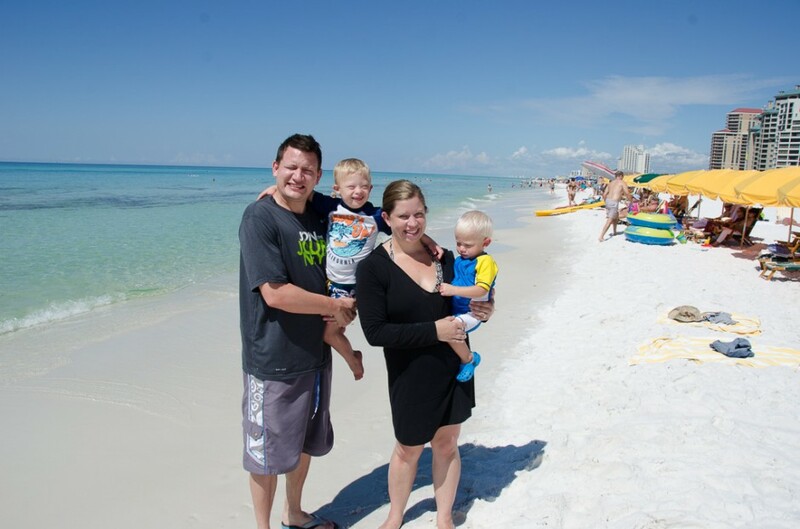 One thing that was important for us when choosing a hotel is easy accesses to the beach. 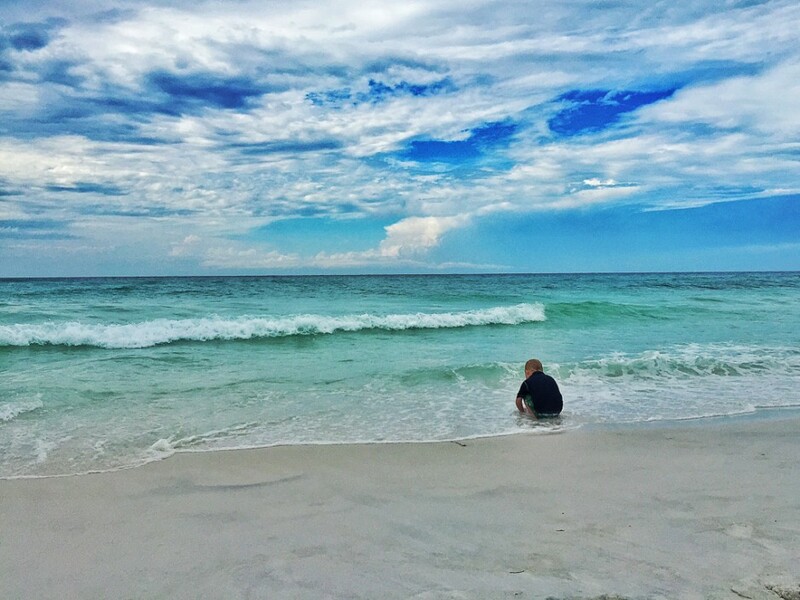 We didn’t want to cross any streets when going to the beach, we just wanted to walk out the hotel doors and be on the beach, and this was the case at the Hilton Sandestin! Check out that blue water! Here’s a Facebook live stream we did on our second day! Noah let us burry him in the sand! 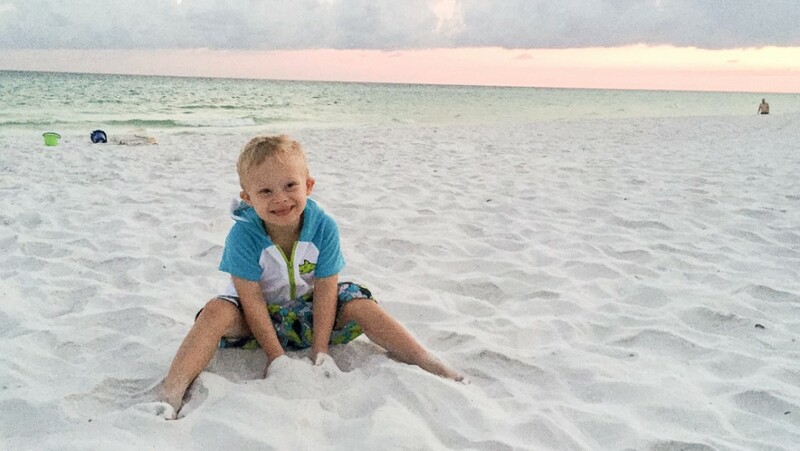 It was so much fun watching Noah explore the beach and build sand castles. This “little” dude is growing up so fast! I felt like my heart was going to burst out of my chest watching these two boys play with each other. They are really developing a special bond, and I hope it continues to build throughout their entire life. I couldn’t believe this, but I actually thought about shortening our Disney trip and staying at this hotel for a few days longer! 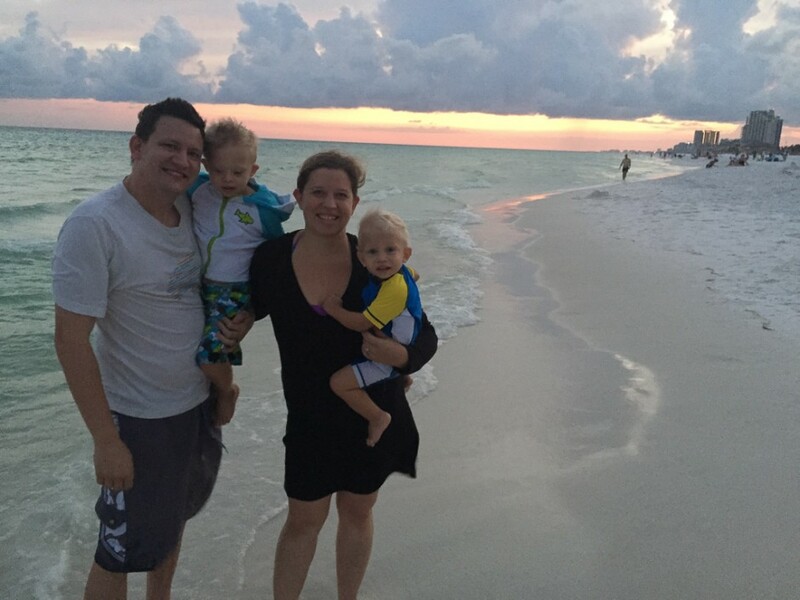 Our family had such a great time on the beach with the boys, that we didn’t want to go. In addition to the great hotel and beaches, the hotel has a free shuttle to Baytowne Wharf, which had lots of dining options and was a fun place to walk around. This hotel will be one we return to as often as well can. 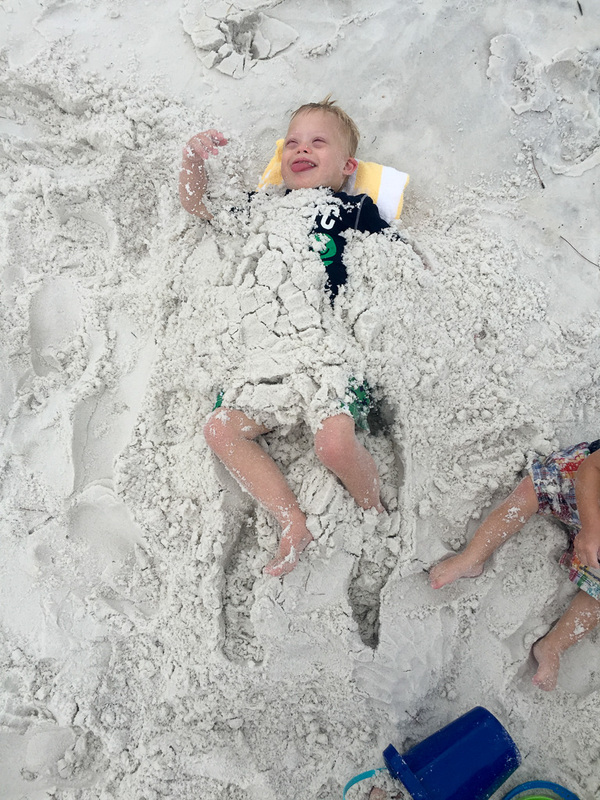 We loved it, and the boys loved playing in the sand, the pools, and the ocean! I’m an ocean lover so it’s the beach for me!!! Absolutely love following your family!!! Your boys grow in the love you have for the Lord and each other!!!! Prayers and Hugs!!!!! You have a wonderful family. Keep the fun flowing in your life, and love in your heart. Thanks for sharing. God Bless. Thanks for your inspiration and posts/pictures! Your love for your boys really shows, and will continue to make a difference in the lives of others, I’m sure. We enjoy camping in the mountains, as we live near the Rockies. Thanks for the kind words and for sharing a picture. 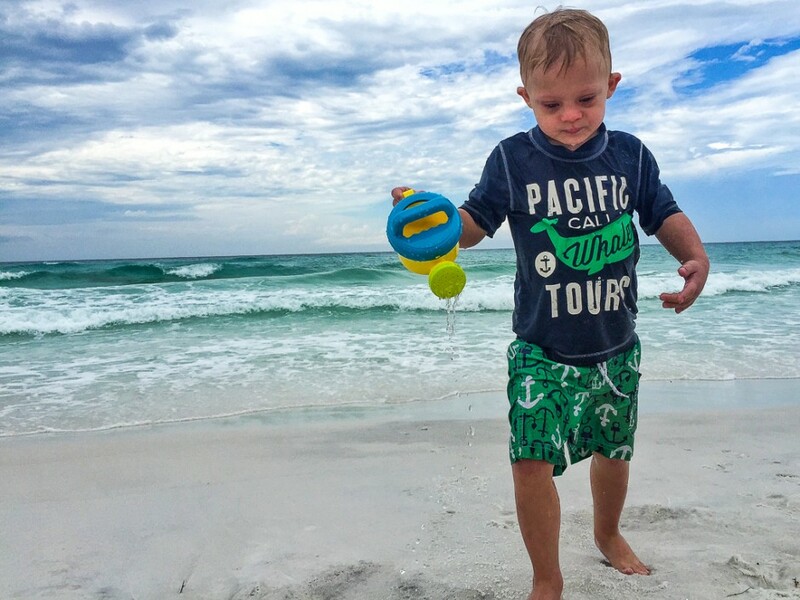 Your “little” man looks like a ton of fun!!! Where near the Rockies do you live? My in-laws live up near Aspen and the boys really like visiting Colorado. In fact, I’m hoping to post a blog post of Noah skiing for the first time last week at Snowmass! Thanks! Our son is such a joy, and his 10 siblings love on him every day; it’s like he’s a prince around here! We live on the border in Wyoming, and enjoyed Snowmass for our 20th anniversary this summer – without the children, though! 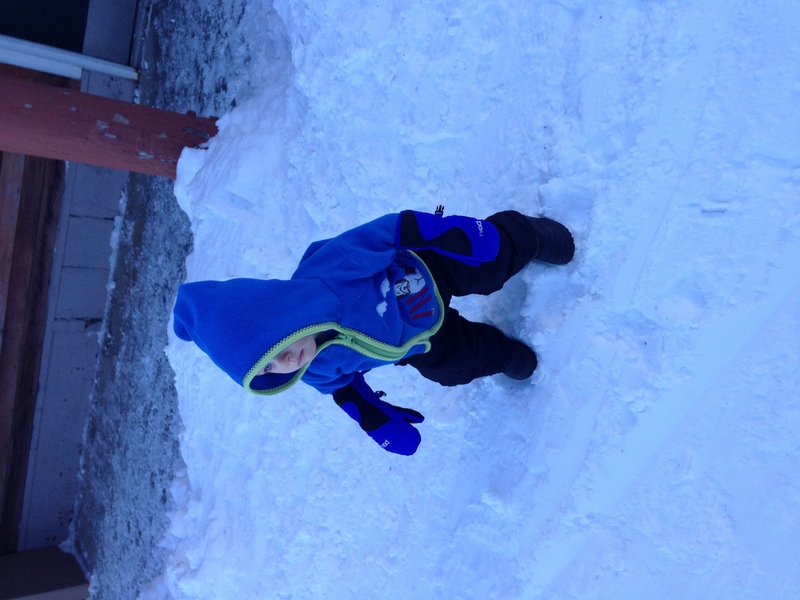 My husband wants to take all the children skiing sometime, so your pictures/videos (so cute!) are motivating us to go! Looks like y’all had a BLAST! 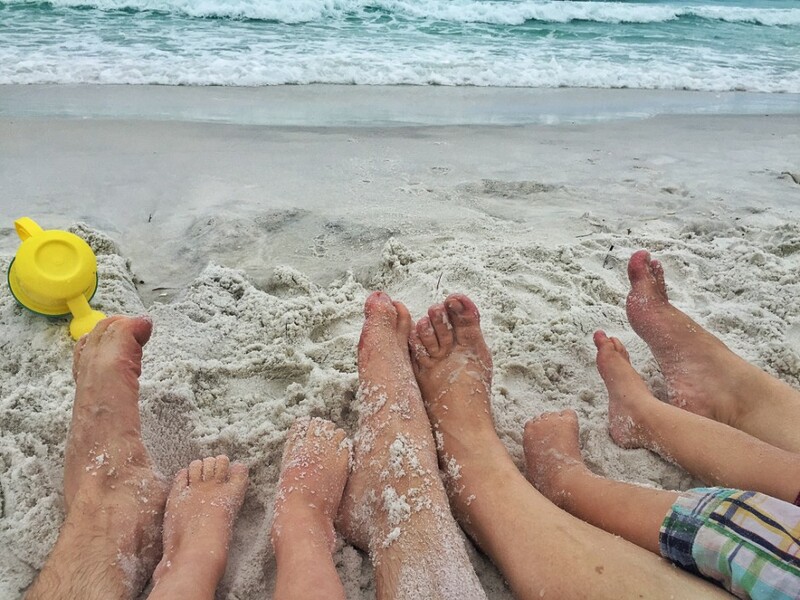 I got happy beach vacation vicarious vibes (wow…and I didn’t even plan that alliteration!) from looking at all the photos of your wonderful family. Probably the best vacation I ever had was a week in Hawaii…because, hey! It’s HAWAII! The one place I’d really really really like to go in the world is Scotland. Don’t really have a reason, I’ve just always liked it. I absolutely enjoy all the blog post and streaming events. The interaction between all members of your family is so refreshing. 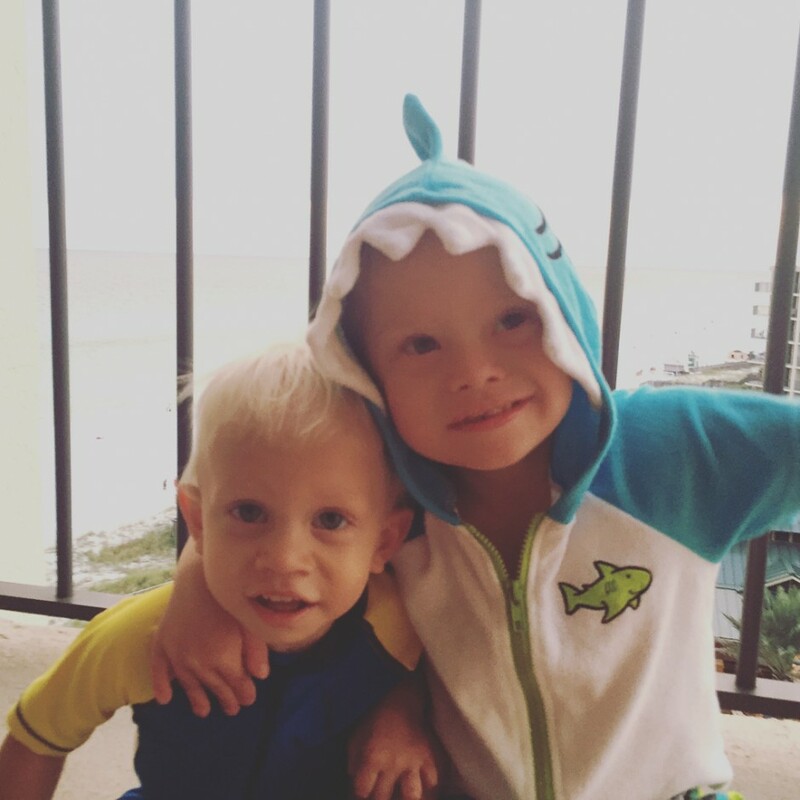 The bond between Noah and Jaxten is special because you’ve allowed it to flourish in a stable environment. Thanks for the kind words, it’s a ton of fun being their parents! It looked like Destin or Ft. Walton. 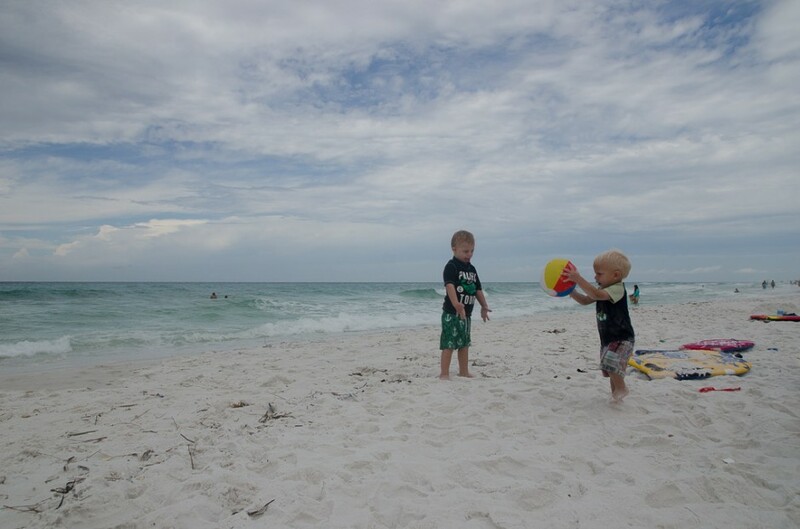 Try Pensacola Beach next time. Lovely sand and water here too. Loved seeing how Noah is growing. Thanks, he’s growing fast, that’s for sure! 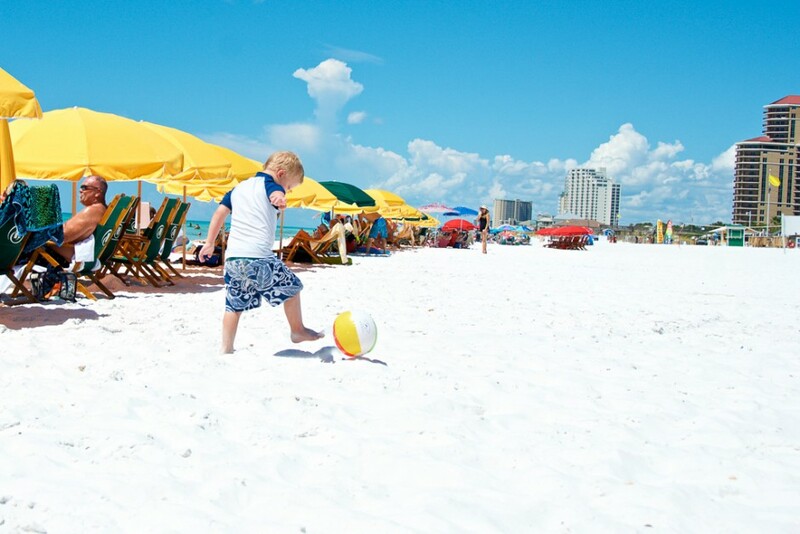 What’s your favorite hotel in Pensacola Beach? I love that your boys are building a strong bond. My son is three years younger than Chris. The bond that these two share is amazing. Both grown men now but the bond is still there. It’s not surprising that Curran, Chris’s brother, works with deaf people all day long and loves it. You folks will have a lot of years of joy and happiness from these two little men of yours. Thanks, and thanks for the comment! What does your son do for a living that allows him to work with folks with hearing disabilities? We have a 7 year old who is Down syndrome and then a 4 year old. Both boys. I enjoy reading your blog. 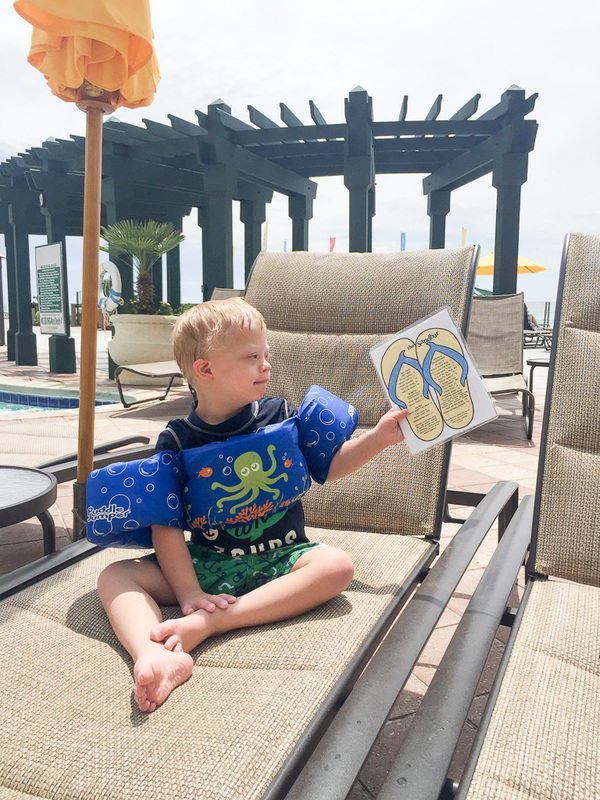 We LOVE Hilton sandestin as well. 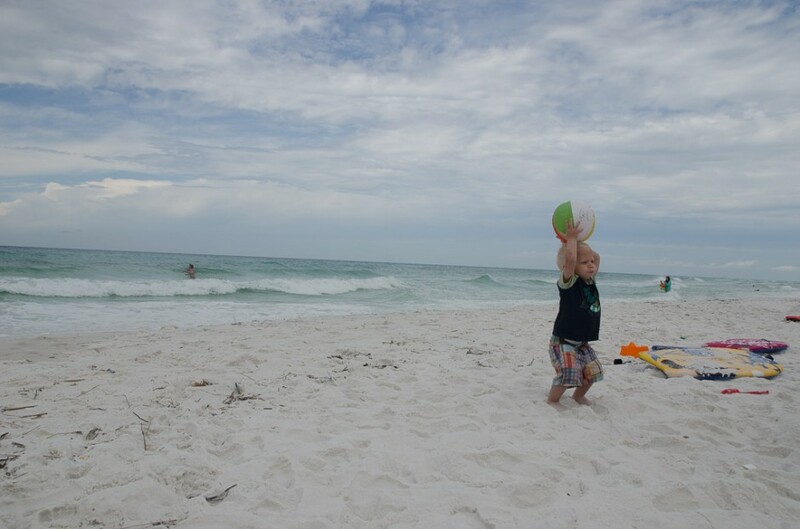 But, we also LOVE Emeral Grande in Destin. I bet you guys would love it too. Everything is right there like a little town within the resort. You can take a boat that shuttles you to a PRIVATE beach that is absolutely breathtaking. check it out online!! The people are so friendly and accomadating as well. 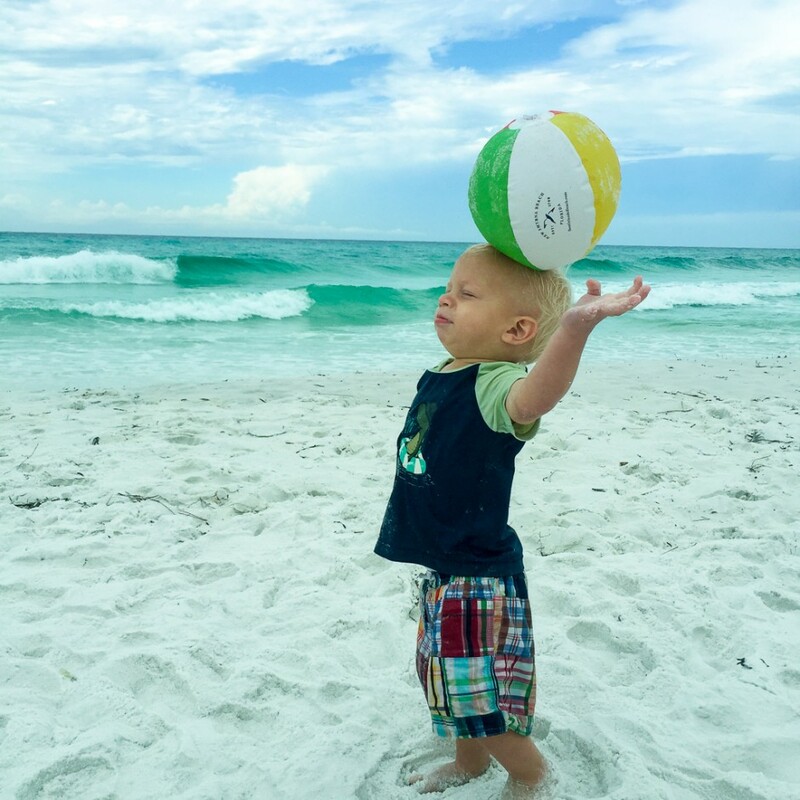 It’s so much fun … We use to always stay at the Hilton sandestin, but the past 3 times we have stayed at the Emerald Grande! We live only about 2.5 hours so it’s not that far from us! Keep blogging. I love it. You have a beautiful family!!! Enjoy read about your adventures. Love the pictures of the boys. Thank you for sharing. We love to ski and so we vacation at Snowbird in Utah every other year. Last time was when I was pregnant (2014) and now our boy is almost 17 mo old (already!) 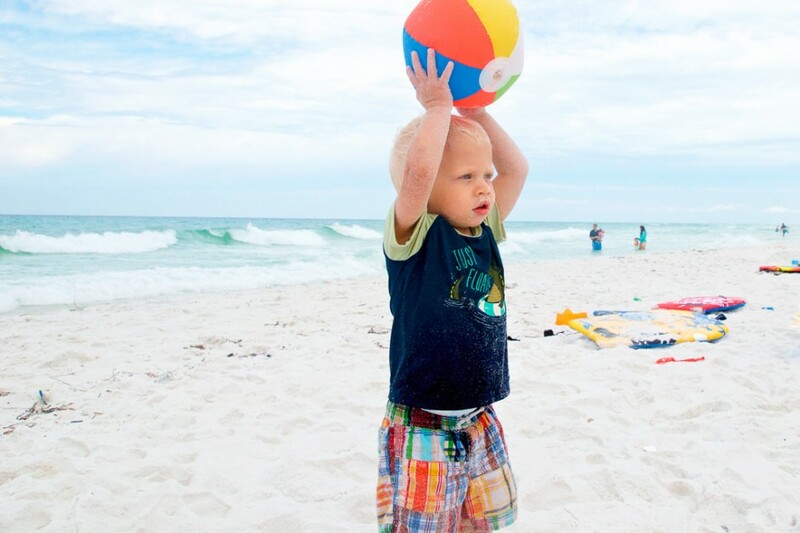 He doesn’t have Downs but I love following your blog and I think your family is wonderful! This pic was taken a month ago when our boy walked in snow for the first time. I hear Noah gets on skis himself..excellent!! Our home mountain is Mission Ridge in Wenatchee WA. You should plan a trip! It’s a special place. Blessings to you all! 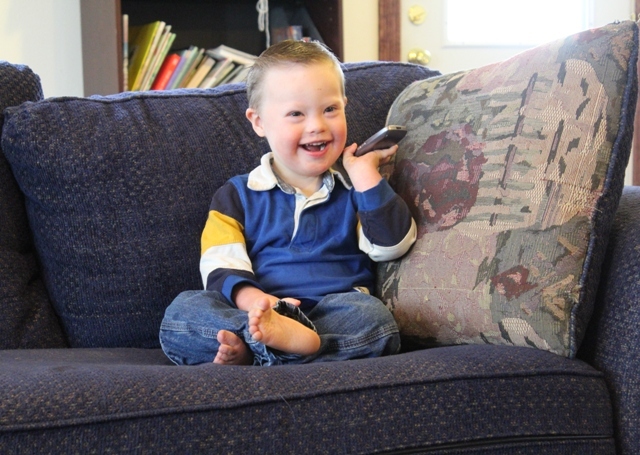 Correction: Down Syndrome not Downs! So much fun! Thanks for sharing a picture. We’ve never been to WA but it sounds like a fun place. I’ve heard lots of great things about Settle. 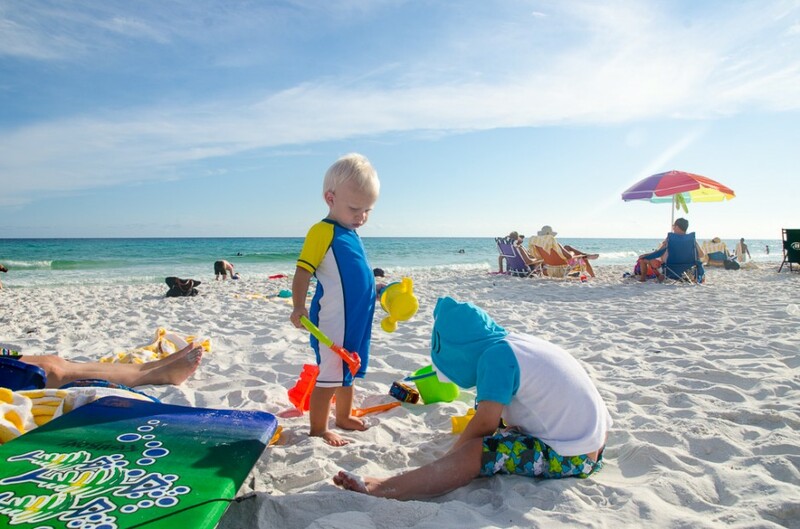 We are a beach family and we try to go whenever we can. 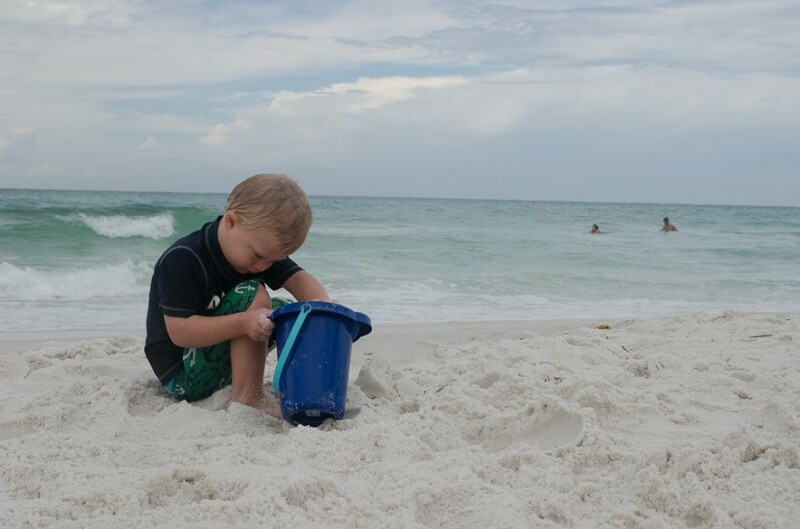 Jayla first dabbled in sand when she was 6 months old and loves every opportunity she can to taste the saltiness. The weather here in Thailand allows us to take short trips to the beaches year round.